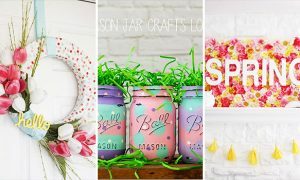 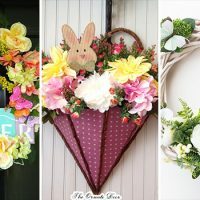 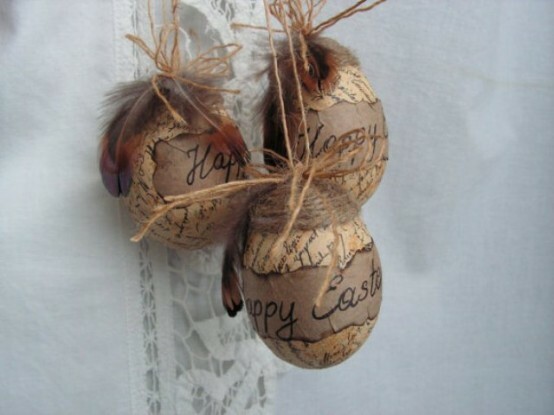 Wondering what kind of style to choose for this year Easter decorations? 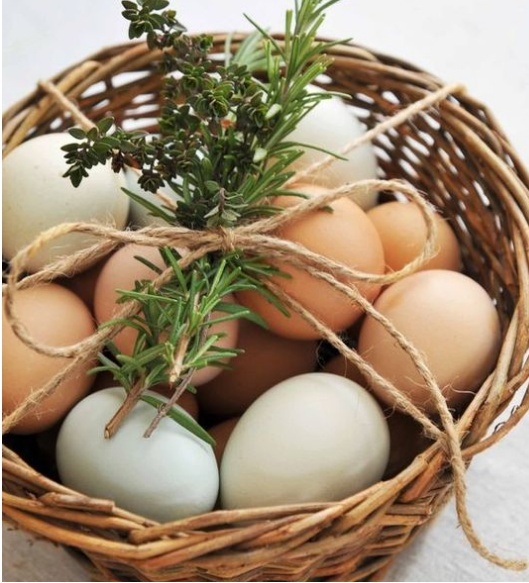 We are even thinking on that. 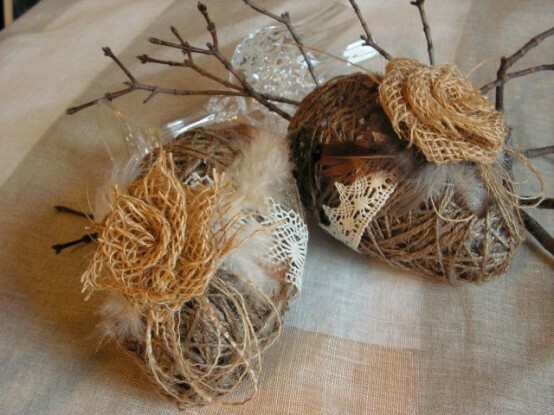 Since the rustic style becomes more and more popular. 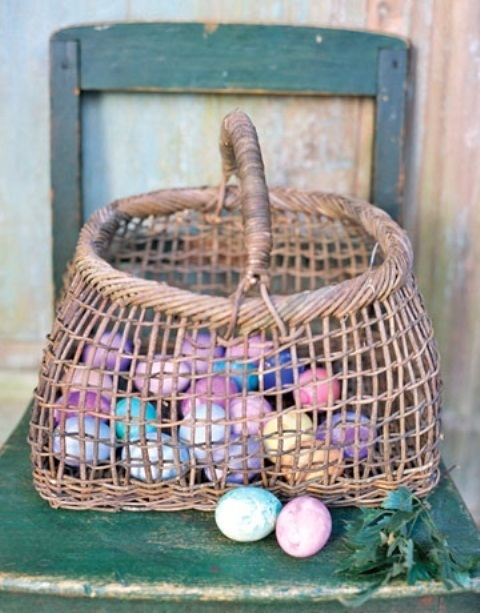 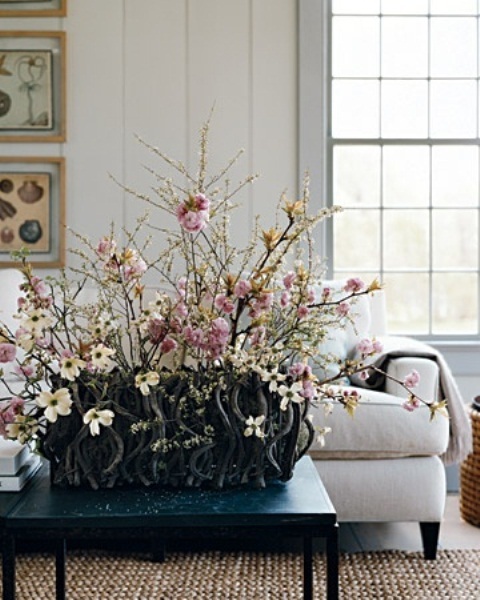 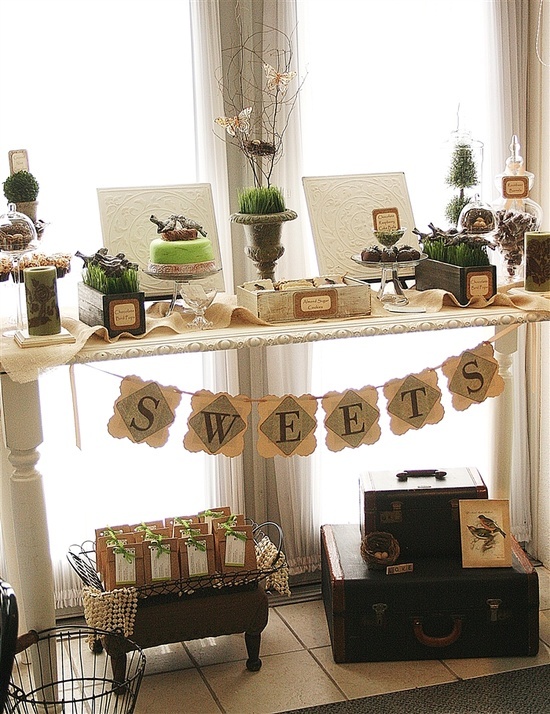 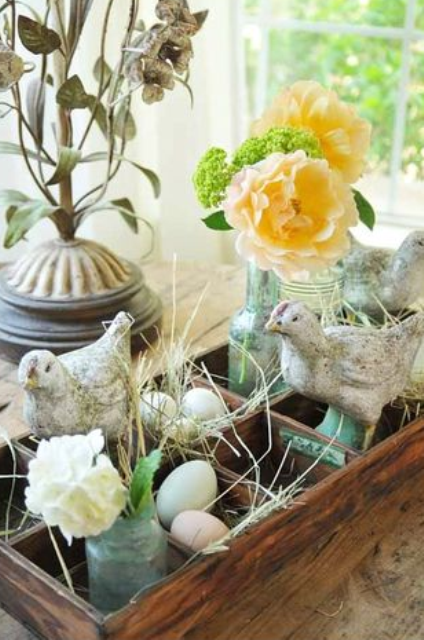 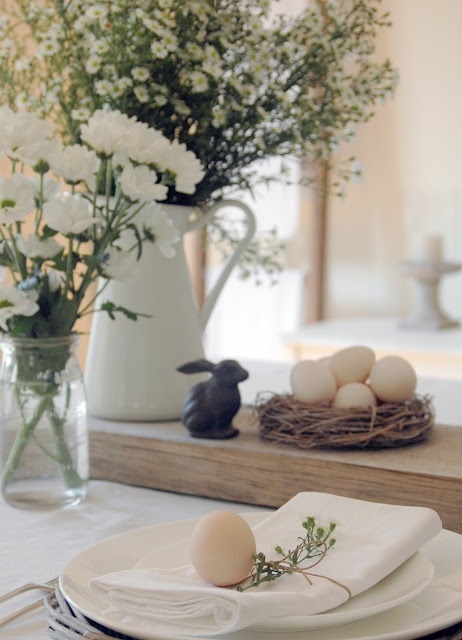 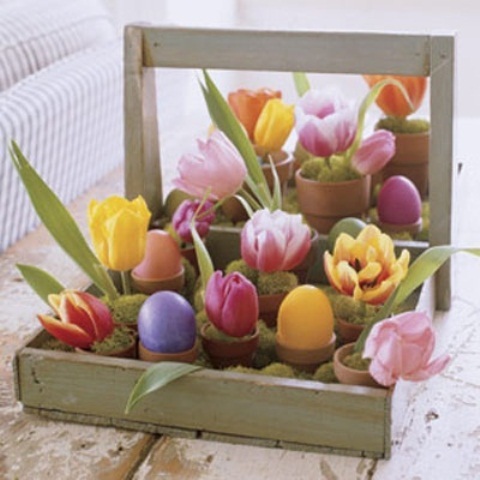 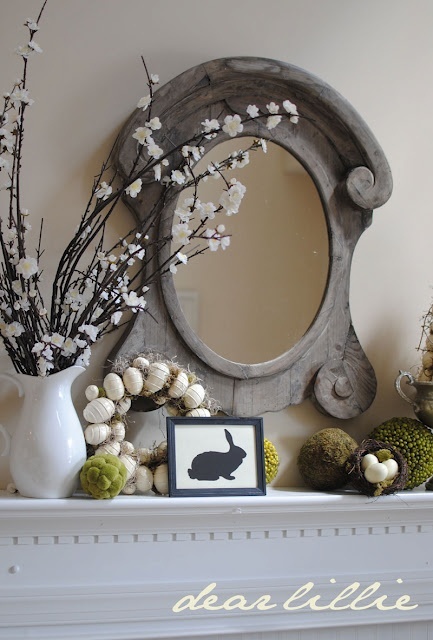 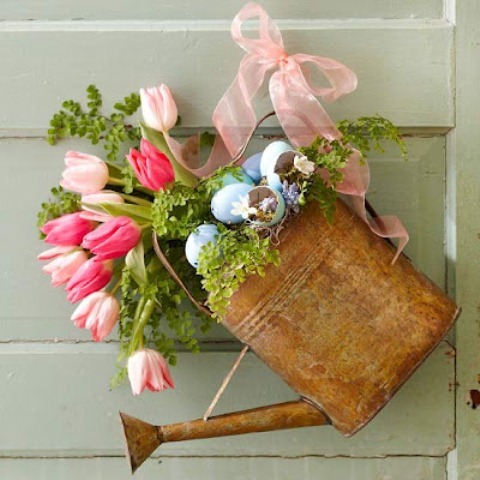 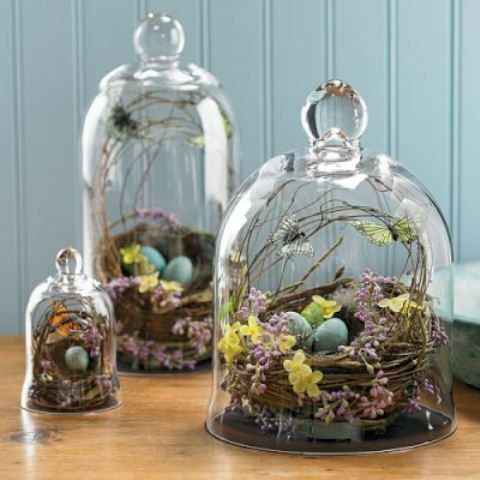 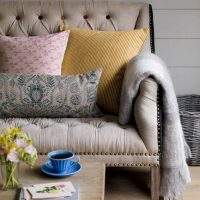 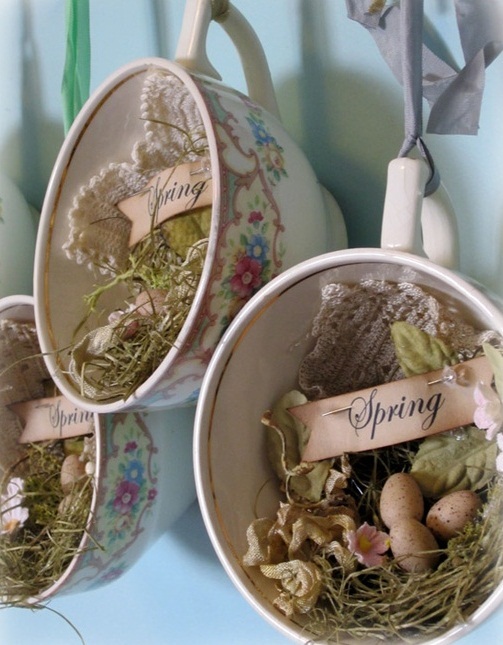 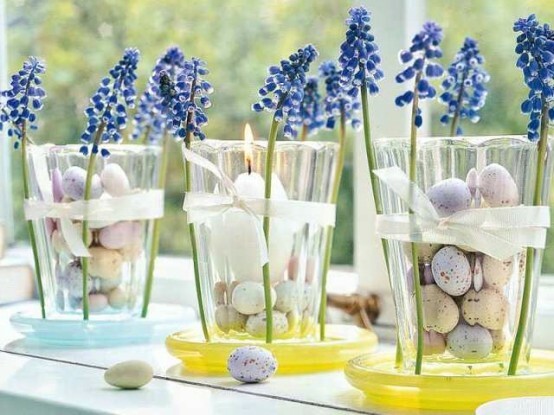 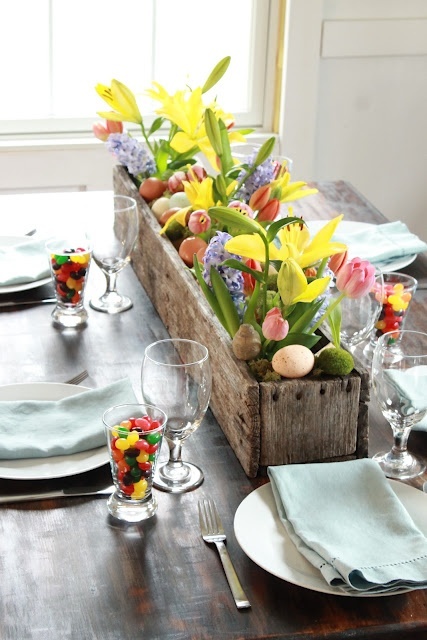 we have choose some ideas for a rustic Easter décor. 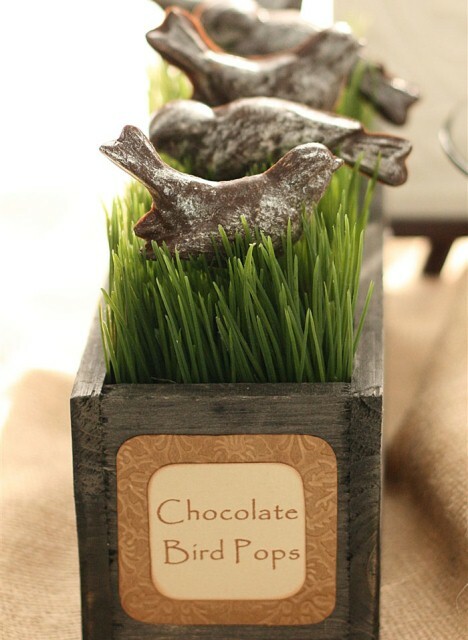 These are examples that will leave your guests speechless especially because you will make it all on your own. 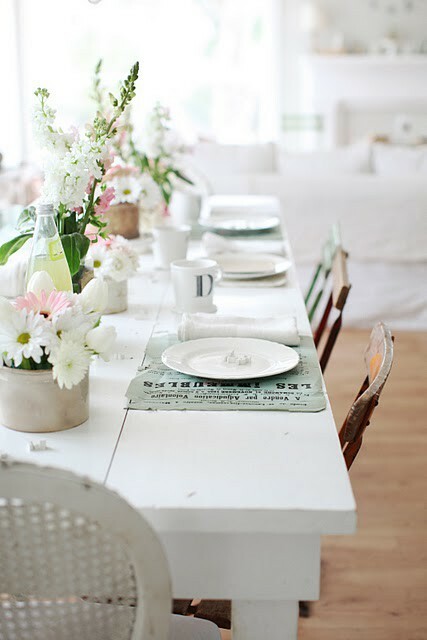 Still you are wondering what kind of details and accessories to add to highlight the style? 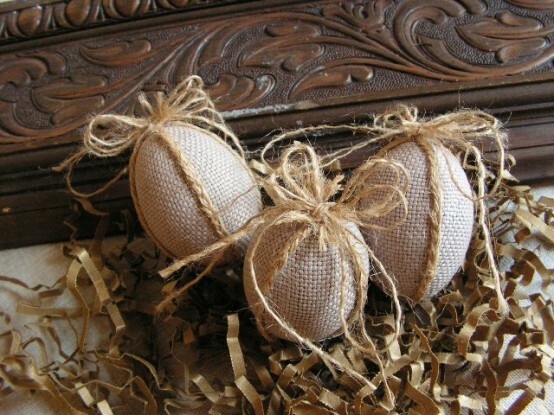 We suggest you burlap. 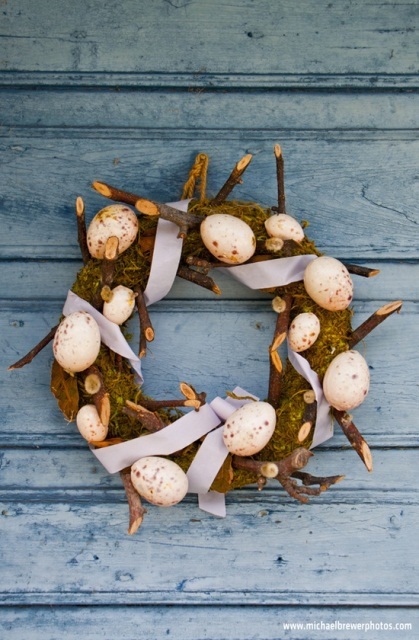 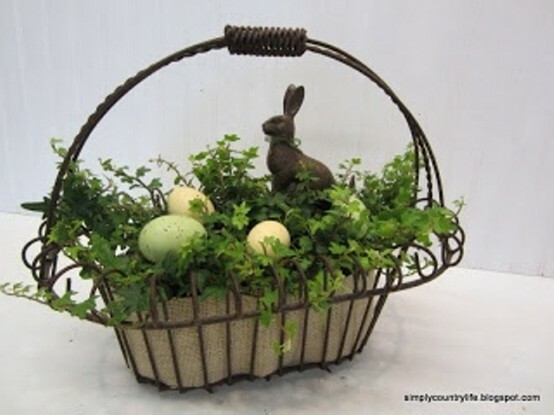 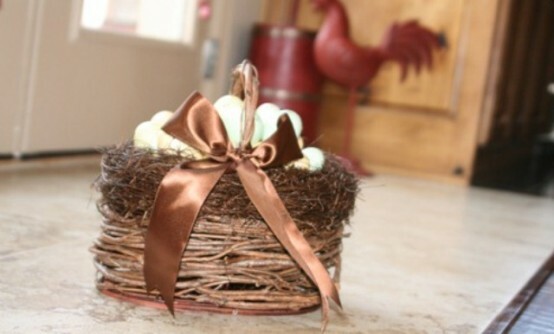 This is a truly rustic material, so wrap some eggs with it, and voila – you have a rustic decoration! 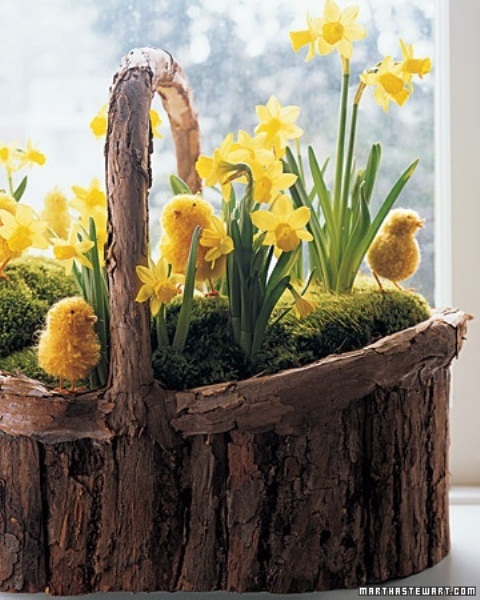 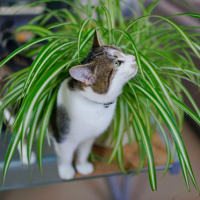 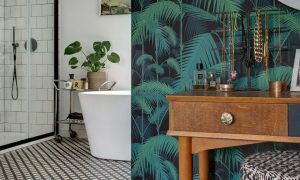 Thinking about baskets, tree branches, flowers and moss? 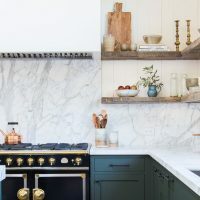 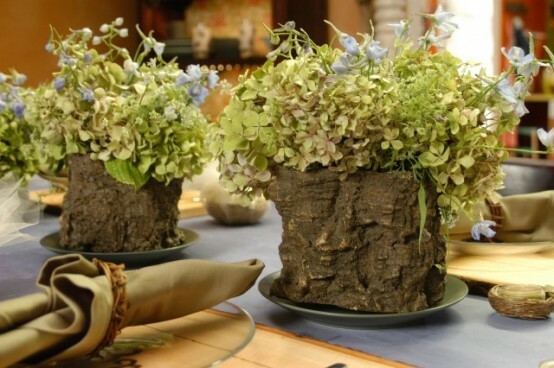 You can also use some other necessary materials to create a rustic design. 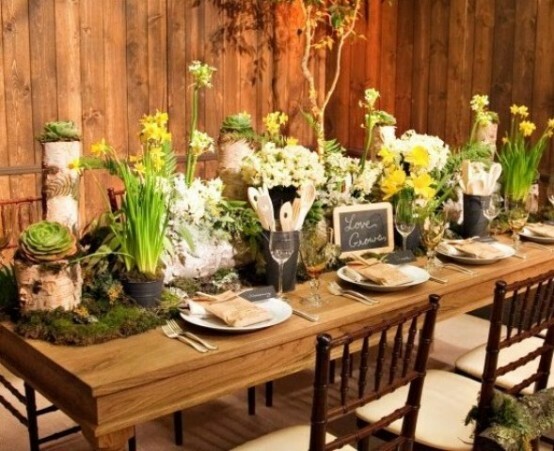 You can use squared wipeable tablecloths and napkins, centerpieces with baskets and natural flowers, rough wooden planters with bright flowers to make it perfect. 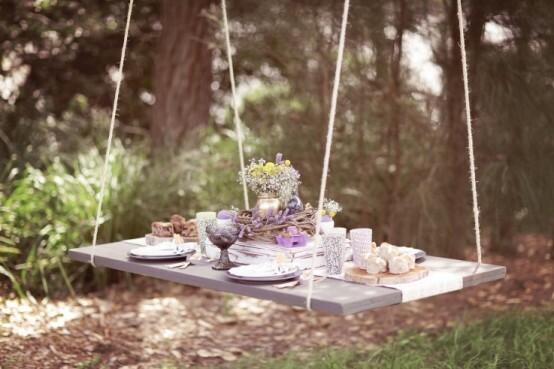 And for sure it will take it to the point! 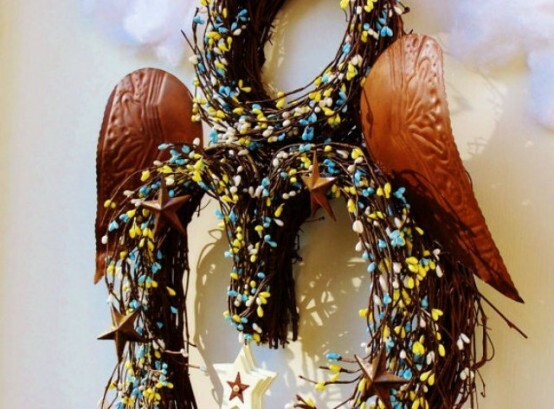 Also there are wreaths and wall decorations. 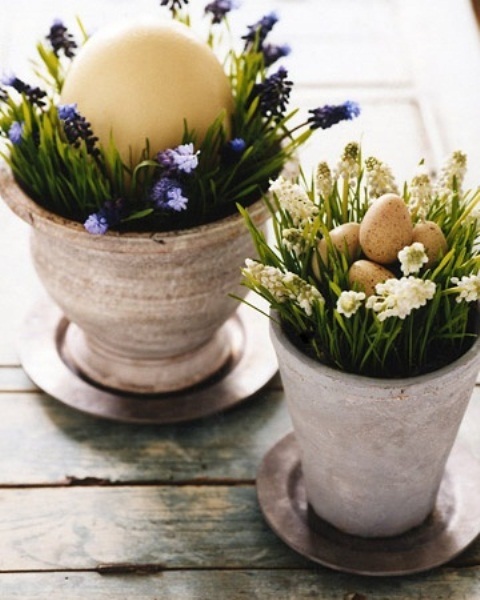 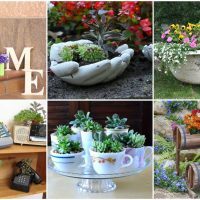 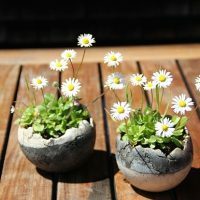 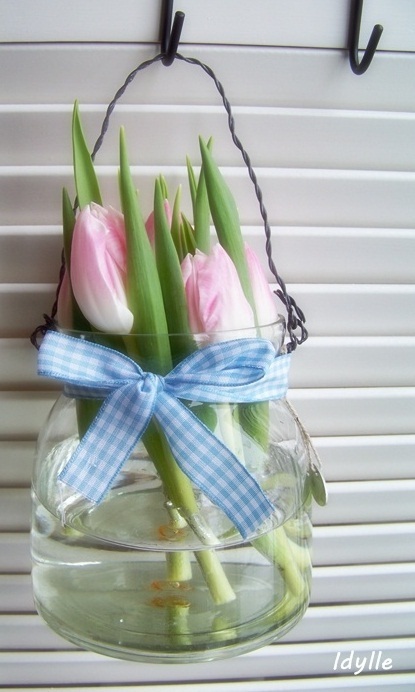 Using funny watering pot with fresh flowers and eggs can be a perfect choice. 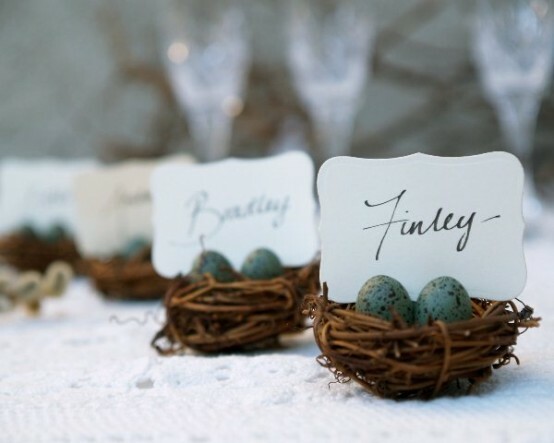 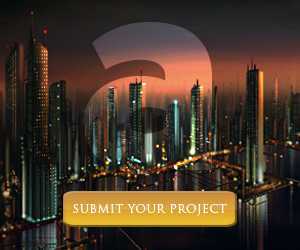 Your family and guests would be excited, and at the end all of this you are doing for them.